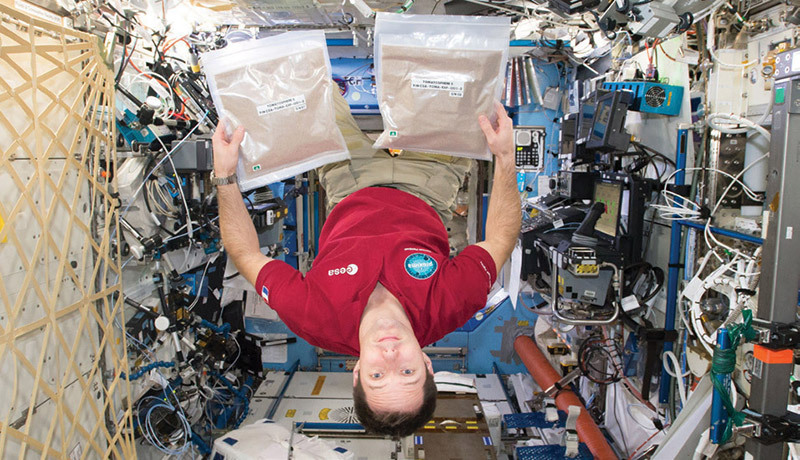 European Space Agency (ESA) astronaut Thomas Pesquet strikes a pose with 1.2 million tomato seeds for the Tomatosphere™ program. As part of our “back-to-school” series, we have been discussing ways that space-based science can engage and inform our youth, better preparing them to compete in a global, tech-savvy workforce. We have shared stories and activities from the past year, resources available to educators and parents, and multiple guest blogs authored by participants in space-based education initiatives. 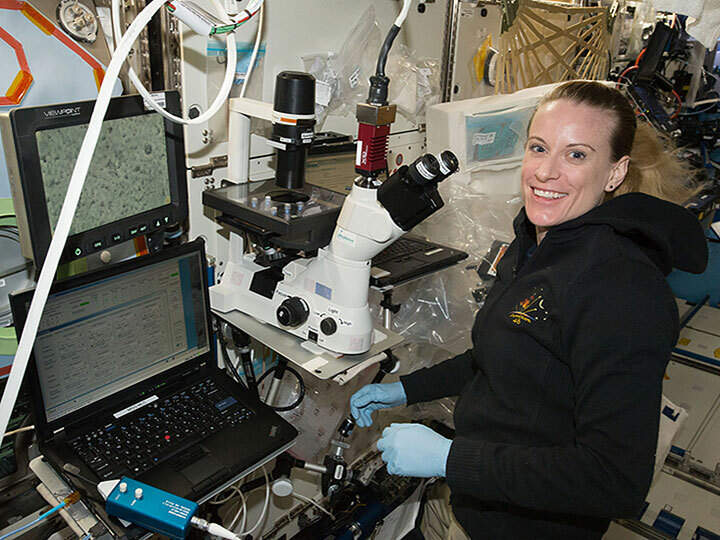 One compelling aspect of many Space Station Explorers (SSE) programs that perhaps we have not directly highlighted is the interdisciplinary nature of many initiatives. The most important 21st century skills (as identified by The National Education Association) are critical thinking, communication, collaboration, and creativity—all of which are reinforced within various SSE programs. Moreover, some programs even expand to touch on social studies such as history, civics, and economics. A good example of a free program that supports authentic learning in these areas, inspired by spaceflight R&D, is Tomatosphere™. Since its creation in 2001, Tomatosphere has engaged more than 3 million students in North America with activities centered around tomato seed germination and plant growth, including comparing growth of space-flown versus ground-control seeds. But the interdisciplinary learning opportunities through Tomatosphere extend far beyond plant biology. Tomatosphere’s U.S. branch is operated by the First the Seed Foundation (a nonprofit associated with the American Seed Trade Association). Some associated lessons may seem obvious. Educators can weave in instruction related to nutrition, for example, or the history and etymology of tomatoes: where did they come from, how did they become so widespread as a food, and where did they get their name? Many educators, however, are branching into economics and civic awareness by doing additional activities with the literal fruits of the students’ labor. Some students have sold their tomatoes at local farmer’s markets after working with their teachers to discuss pricing options, supply and demand, and production costs—real-world skills particularly relevant to our increasingly entrepreneurial marketplace. Other students have donated their tomatoes to local food pantries, discussing with their teacher the role of charities and volunteer associations in community outreach and support. Deepening the technical learning opportunities alongside these social studies, newer iterations of the Tomatosphere program have recently added complexity to the space-based portion of the experiment. Seed packets now have data loggers that track temperature, relative humidity, and pressure. These large datasets are now also provided to schools for use in instruction, which prepares students for the “big data” analysis that frequently underlies today’s real-world science and engineering initiatives. In an example of how programs can reinforce both science and writing skills, student participants in the Student Spaceflight Experiments Program (SSEP, run by the National Center for Earth and Space Science Education in partnership with DreamUp) design experiments and write proposals pitching their research, competing for the chance to perform an actual project on the space station. Learn more about SSEP and other DreamUp programs in “Dream Up Launches Learning Into Orbit” from Upward, magazine of the ISS National Lab. Additionally, although we have been generically discussing use of Tomatosphere in a classroom setting, SSE programs are often adaptable for use in homeschool settings, extracurricular groups, summer camps, and various nontraditional learning environments. 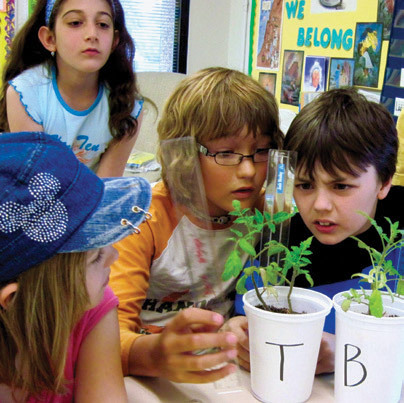 Many SSE programs also are adaptable for use in varied age groups—for example, Tomatosphere advertises curriculum opportunities from kindergarten through 12th grade, by focusing on subtopics from the needs of living things to sustainability and agriscience. 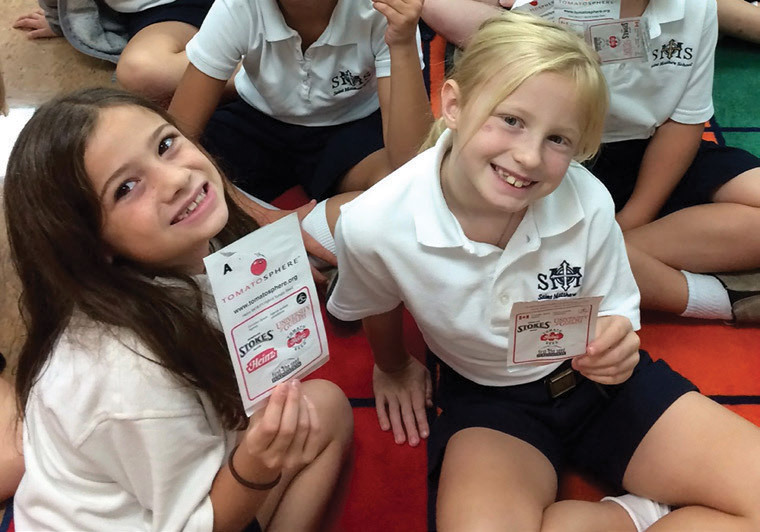 Students with Tomatosphere seed packets. Finally, a critical part of most SSE programs is rooted in students practicing the scientific method. For example, when classrooms receive their space-flown and ground-control seeds as part of the Tomatosphere program, the packets are generically labeled, so the student scientists learn the importance of avoiding observational bias by performing a “blinded” study. SSE program participants also experience an authentic step in the scientific method and real-life experimentation when they share their results with the scientific community. For Tomatosphere, participants report their data via an online form (at which point their find out which of their seed packets was space versus ground! ), and the submitted results are added to a growing database that professional scientists can analyze and study. The students thus learn the value of sharing results and contributing to a larger goal of knowledge advancement. For more information about how Tomatosphere and other SSE programs are pushing the boundaries of interdisciplinary instruction and supporting Next Generation Science Standards, visit our education-themed website: www.spacestationexplorers.org. 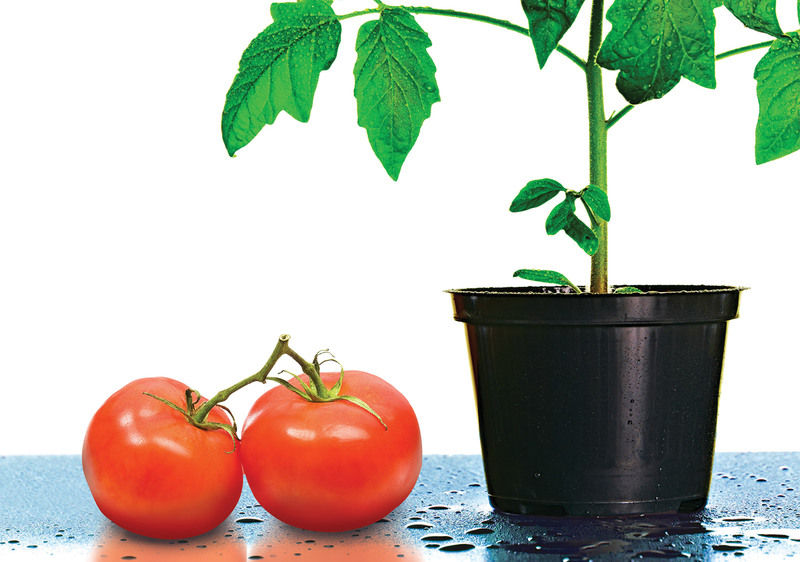 You can also read more about the Tomatosphere program in “The Tomatosphere Education Program: Entering a Fruitful New Phase” from Upward, magazine of the ISS National Lab.